Business. It’s a tough old game. Some, they say, are born with a “business brain” – and Mark Zuckerberg’s is increasingly looking like his may be the biggest of them all. For this week we’ve got the colossal 2016 full-year Facebook earnings to report. Sick buckets at the ready? Let’s take a look. First, let’s talk user figures. Facebook now has a community nearly 1.9 billion strong (meaning that we can reasonably expect it to reach the 2 billion milestone by the time Q1 2017 figures are released), with 1.2 billion of these people active every single day. That, I think you will agree, is truly astonishing. Usually, social networks talk in terms of “active monthly users”, which essentially means that they can boast larger numbers. But, no such need for the Big F. 1.2 billion active daily users. Daily. Meaning that Facebook has more people on the platform every day than the next biggest platform (YouTube) gets in a month. More than 65 million small businesses also use Facebook to connect with customers. 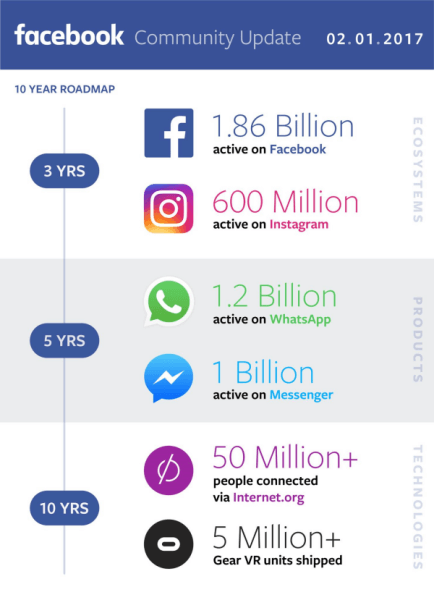 And of course, Facebook’s side-projects and acquisitions are doing pretty tidily as well – 1.2 billion WhatsApp users, 1 Billion active Facebook Messenger users, and a cool 600 million users over at Instagram. “Our biggest focus continues to be putting video first across our family of apps. More than 150 million people now use Instagram Stories every day. We’ve launched our new camera in Messenger and have started rolling it out in Facebook as well. Let me hammer that point home a second – VIDEO FIRST! VIDEO FIRST! VIDEO FIRST! Ok, onto the earnings. I think it’s easier just to reproduce the chart so you can see for yourself. In case that’s a little hard to read, the total revenue for Facebook in 2016 was $27.6 billion, up a massive 54% year over year, creating a net income for the company of $10.2 billion, up 177% compared to 2015. Yes, Zuckerberg’s business brain seems to grow in line with his most valuable network. Makes you sick, doesn’t it? But at least the shareholders will be pleased – long live fake news! “Of course Snapchat has come up with a weird way to browse the web. And of course that way involves snapping a photo. Snapcodes have of course been around since 2015, but this update now gives users the power to direct users to any URL (and you can even use URL shorteners) with the introduction of additional in-app tools. What you are essentially doing is creating snaps that contain a link. 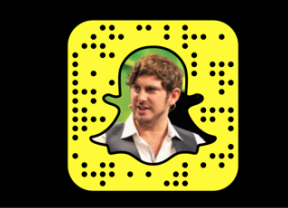 These Snapcodes can then be placed anywhere you like – including on your website, social media pages, or printed for use offline. Users can then use the Snapchat in-app camera to take a picture of the Snapcodes and then follow the link to the associated site. 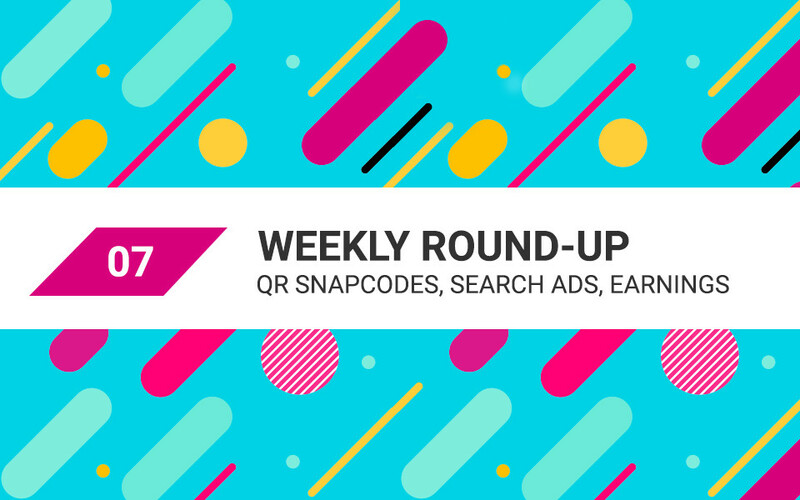 For marketers, we can of course start planting these Snapcodes around the web to drive people to specific sections of our site – blogs, downloads, product pages, wherever. However, there is opportunity, I think, to get creative with this feature. I like the idea of using Snapcodes to take lucky users to exclusive content, not easily discovered by any other means. It could almost be like a treasure hunt – especially, of course, since codes can be printed and placed anywhere offline. There’s a very compelling marketing campaign somewhere within that idea that I am sure some company will begin to exploit at some time in the near future. Selling toilet paper? Great! A different Snapcode on every sheet (just an idea). Up until now, it’s only been possible to run ads on Pinterest as Promoted Pins, but this new Search Ads update essentially allows advertisers to deliver their advertisements on Pinterest in the search results following a search query from a user. Search Ads will basically work like any PPC (pay-per-click) campaign, with advertisers given the option to pay for impressions, Pin clicks and engagement. That’s it! I’m going to look over my yearly earnings now and cry myself to sleep. See you all next time! !